"The punk who did this is gonna pay for what he did to me. He can't hide. Not even in a place like Ivory. She looks like she needs my help just as much as I need hers. I'm gonna do everything I can to take care of my business. And when I'm through with my business, I'm gonna do everything I can to pay her back, no matter what it takes..."
"Life in Ivory... I can't think of a more boring existence. That was until I met him. He's not like anybody I've ever met. Forget the muscles, the tattoos, and the leather. No, he's a man, a real man. They don't make 'em like him in Ivory. I'm always looking for the highest bidder. But for him? 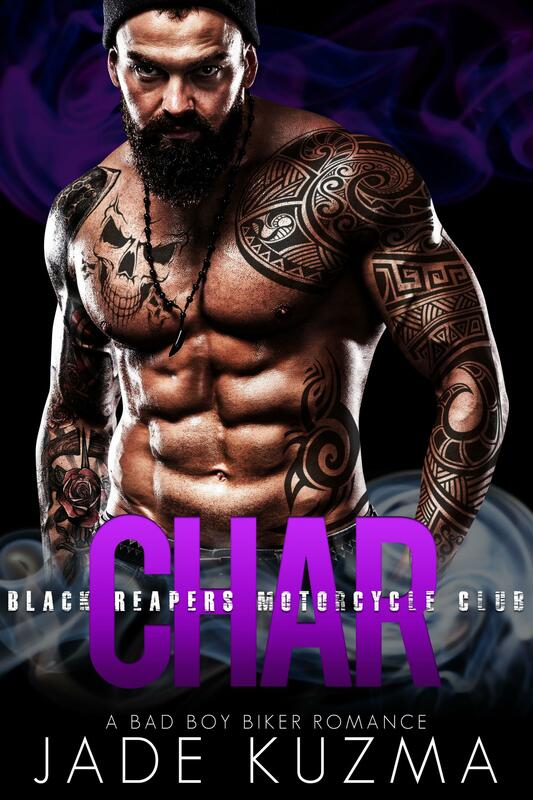 Yeah, I'll give him a special price..."
CHAR is a STEAMY standalone MC romance novel featuring a bad boy biker and the woman he'll do anything to protect. It's the fourth book in the BLACK REAPERS MOTORCYCLE CLUB SERIES but can be read as a standalone. It contains scenes of intense action, drama, and suspense. There are no cliffhangers and no cheating. Happy ending? You'll have to read to find out!